When rescuers had the difficult job of bringing together a primate family reunion, they didn’t know what to expect. Everyone worried that when orangutan mother and baby finally came together again, things might go horribly wrong. The mother and her child’s separation had lasted for more than a week. In these kinds of cases, it’s common for a mother primate to reject or even deliberately harm her baby. This happens either out of confusion or a failure to recognize her own offspring. 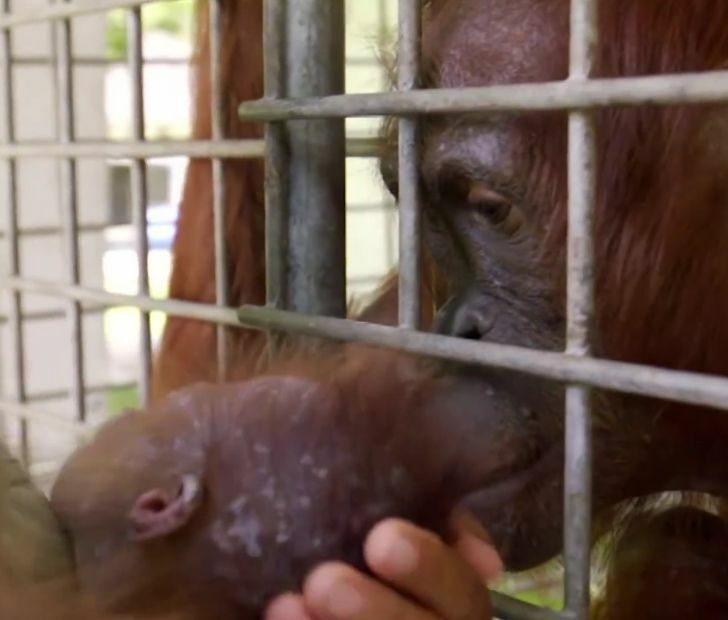 But nothing could have prepared animal keepers for the sight they beheld once the mama orangutan and her newborn baby finally had their reunion. Sometimes, these kinds of reunions don’t go the way we expect! The challenges of being a parent are very real for many species across the world. Orangutans are not unlike humans in many ways, but social interactions can make it difficult for some mothers to accept their babies.